Trading can be a tough business and many traders lose money, in part because they make avoidable mistakes. 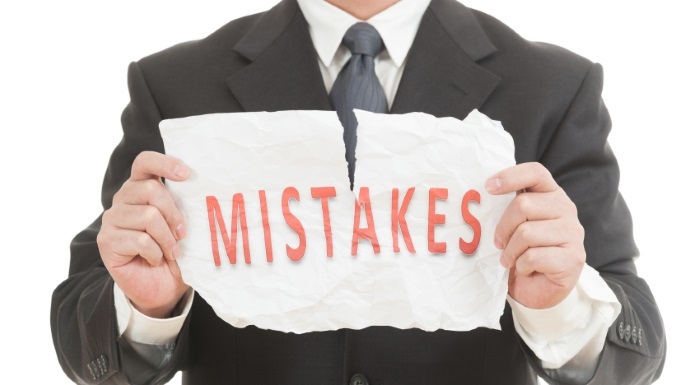 Below is a list of some of the most common trading mistakes that traders should avoid doing. Avoiding these mistakes is no guarantee that you’ll make money trading, but it can certainly reduce your risk and improve your odds. Whether you are a day trader or swing trader that trades stocks, a forex trader or any other type of trader, these trading mistakes applies to just about all types of traders. Trading is a business and all successful businesses have a business plan, and your trading business is no different. Before you get started in trading you need to specify what you are going to trade, when you’re going to trade, how you’re going to trade, and with how much money. All successful traders have trading plans so that they know exactly what they want to do when they see opportunities in the market. The trading plan reduces the fear and doubt that can unsettle most traders. As the old saying goes: “failing to plan is planning to fail.” Without creating a trading plan you are setting up for failure and it is like driving around at night without your headlights on. Day trading can be risky business, and in order to prevent severe losses and wiping out your account, a traders needs to have a risk management system in place. You always need to follow your risk management strategy and it needs to be ingrained in your mind and also set in your trading plan. A day trader without proper risk management, places orders without having an entry or exit strategy. Risk management involves have stop orders in place, which is executed when a stock reaches predetermined levels. Good risk & cash management will help you stay in the game. Traders should never commit all of their capital to any one trade, no matter how confident you are that the current trade is going to workout as a winner. Day trading is a job. It’s a small business endeavor that requires training and education well in advance of the first trade. Day trading is not something you can just jump right into and it’s not something you can squeeze into an hour a day as a hobby. 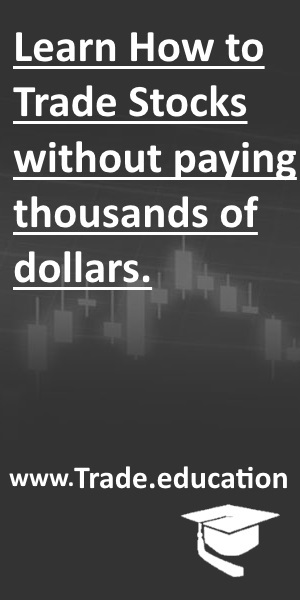 Some people think day trading is something that they can easily enter into and that they can generate profits whenever the sit in front of a computer screen. That thinking is a mistake. If you can’t dedicate the time necessary to study the markets and understand how to react to them, you will have trouble staying in the trading business. Traders might face many emotions from the excitement or thrill of making a great trade, to panic of trying to get out of a trade, or maybe depression after losing money, and many other range of emotions. One of the keys to become of successful trader is if you master your emotions then you will master the market. In trading you must be logical, not emotional – you must stick with your trading system and rules and be disciplined. Trading is a business and you must treat it like one. Some traders are afraid to recognize a loss. Some may even go as far as adding to their position in order to average down in hopes of getting to the break-even point. In day trading you must learn how to recognize your losses. If you don’t a small loss can turn into a greater loss. It is always better to get out of a trade at a loss and move on to the next so that you can spend your time looking for the next trade setup. You don’t want to miss out in other trading opportunities that fit your criteria. Good traders have systems in place to limit losses. They use stop orders to force themselves out of bad trades. They would rather put the money to work on a good trade than stick out a bad one. Do NOT over trade just because you feel like you need to do something or because you want to make more money. “all good things come to those who wait” – well in trading this is very true as it is always best to wait for right trading opportunity to present itself. You should never force yourself to find stocks to trade, because in the end it may go against you at the worst possible time. Over trading will cause you to lose your focus, discipline and in the end will almost always causes you to lose money because you won’t be concentrating your efforts on finding trades that have greater probability of making you money. Do not be in too many positions at one time. Also, if you felt like you missed out in a good trading opportunity, don’t try to make up for it by trading in something else. Just learn from it, be patient and remember another trading opportunity will always present itself soon! The more you trade, the more risk you take. And don’t trade outside of your trading style, just because you want to trade. Just be patient and wait for the right setup that meets your trading criteria. When you trade a stock, you should always document your trade, thoughts and experiences in a trading journal. A trading journal is a great tool so that you can go back and review trades after the fact and analyze what worked and what didn’t. For example, you can write down your entry & exit points in a trade, write down the mistakes you’ve made, as well as things that you did right in that trade. By referring to a trading journal, a trader can learn from their successes and failures, and ultimately help improve you as a trader. Always trade within your own trading strategy/style. Do NOT go off testing another trading style or some other strategy. Never jump from one trading style to another. Keep learning and getting better at one method of trading. Master one style rather than become average at implementing several styles. Not all trading systems work all the time, but if you panic and start trying new things without doing a lot of upfront work, you’re likely to make things work. If you wonder off from your trading style it will take your focus away from other setups that meet your trading criteria. Sure, it might work a few times, but trading is all about odds, and odds are if you are doing a trading style that you are not familiar with, most of the time you will end up losing money.